Dogs make you walk. Politics make you think. Only boredom makes you old. I remember people who’d had a lot of hardship during the war. They’d thought we’d won. And what always struck me about that war period was how even Churchill had to talk socialism to keep up people’s morale. I remember a big meeting with the hosiery trade in Harold’s ministerial room. There was no welfare state, and people had to rely mainly on the Poor Law – that was all the state provided. It was very degrading, very humiliating. And there was a means test for receiving poor relief. It might have been offset for us if the revenue from our own oil and natural gas that was just developing had been available to the Labor Government, but the oil revenues were just coming in when Labor fell in ’79. Then, with lots of people doing that without ever looking over their shoulders to see how they were affecting anybody else, it couldn’t work, and it didn’t work, and it just came to a standstill. What we set out to do was to ensure that this system of fair shares and the planning and controls continued after the war, and when we won, that’s what we did. Barbara Anne Castle, Baroness Castle of Blackburn, PC, GCOT was a British Labour Party politician. She was elected to St Pancras Borough Council in 1937, and in 1943 she spoke at the annual Labour Party Conference for the first time. She was a senior administrative officer at the Ministry of Food and an ARP warden during the Blitz. Elected to Parliament in 1945, she rose to become one of the most important Labour Party politicians of the twentieth century. 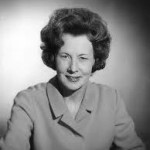 Until her record was broken in 2007 by Gwyneth Dunwoody, Barbara Castle held the record as the female MP with the longest continuous service. She is the first, and to date the only, woman to have held the office of First Secretary of State. Castle died in Chiltern, Buckinghamshire, of pneumonia and chronic lung disease.